We’ve thrown a lot at you these past few months, everything has been a game changing milestone in itself, something which we as adults have struggled to comprehend. Where it’s all been a little bit surreal for us, let alone you at 3 years old. Yet after you get used to one change we seem to be adding another to you. And then another. And another. Every time life seems to get back on an even keel it feels like we then pull the rug from underneath you. I know I am feeling the effects and I have a whole 30 years on you little man, it’s turning me into a shouting mummy, and I worry that you are picking up on that. That the shouting back you are doing is because I am setting the wrong example? That shouting is your way of gaining control? I’m sorry little man, for the upheaval and the shouting. I’m sorry that you’re bearing the leaving of our expat life across your little shoulders, but I promise it’s the right decision for us as a family. From the packing up of our house, waving goodbye to all your toys, big Buzz Lightyear presiding over our shipping “to keep it safe” and taking only the bare necessities with us. Living out of a suitcase in Dubai, living in a hotel apartment. Yet your beaming face was still beaming at the start of every day and at bedtime every night, safe in the knowledge that everyone you loved was with you. Yes we had tantrums, but no more than the normal, 3 year old tantrums. The only thing betraying your nervousness were little arms locked around our necks, extra tight squeezing cuddles, pleas to stay with you as you fell asleep. Pleas we were happy to comply with, lying in bed with you watching you fall asleep. Not realising it was possible for a 3 year old to hold tension, to watch it fall away as you know you are safe and secure. I’m sorry that you are silently worrying, without us knowing little one. I’m trying to talk you through your fears but I worry I’m doing a bad job, I worry that you see my fears reflected in my voice, in my face. 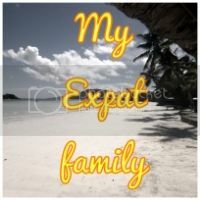 I know it is a big upheaval, I know that you’re feeling the leaving of our expat life behind, so am I little man, though I’m trying not to show it. Saying goodbye to friends, if I didn’t know how to say goodbye to the mums who have become my lifeline out here, how can I expect you to understand saying goodbye to the friends you’ve known for most of your life? The friend who you met when you were 6 months old (and weren’t really friends, it’s just your mummies liked coffee and cake and wine together) with a friendship that blossomed slowly. Friends that walked together, learnt to talk together, ran together, played together and got up to all sorts of mischief together. Friends that came into our life later on, as their expat journey began ours was coming to a close. Friends that were going through the exact same as you as you welcomed your baby brother to the world, friends who started the new nursery with you, that grew so much in the year from when you were 2 to 3. Friends from nursery. Friends from playdates. Friends from the park. You are such a friendly soul, you thrive on being with people, delight in sharing news and showing toys to your friends. Friends we are taking you away from. Friends you ask for by name still. Friends I know you’re missing, because I’m missing them too. I’m sorry that we tore you away little one, it was circumstance, it was that thing called life and it will get better. I don’t know when but it will. I promise. Arriving back at Grandma’s house, the heady excitement of a holiday. The idyllic days of Daddy being home, before having to wave goodbye. From every day with Daddy, from *nearly* every night Daddy putting you to bed, whispering away your fears, tucking you in tightly before you close your eyes, to time without Daddy. Daddy having to go back, to finish the contract, to being the man you see on Skype every night. Watching you kiss the screen. Grabbing your latest toy, or drawing, or stick from the garden and waving them at the screen. Watching as your Daddy’s heart breaks a little as you tell him you miss him. Watching it shatter as you utter the words “but I want to come home on a plane to Dubai to you” and explaining again that Dubai isn’t home anymore. I’m sorry that we’ve taken you away from all you’ve known, because let’s face it, you’ve lived in Dubai for most of your life, it’s your home, it’s all you’ve known. I understand that it isn’t easy for you, it isn’t for me and I have 30 years on you buddy. I have the understanding that we are headed for a new phase, a better phase, the next chapter, the next adventure. I understand the whys of what we are doing, not just the moment you are living. I’m sorry little man, and thank you for taking it in your stride. The weeks have passed now since we left Dubai, since we boarded the plane and said goodbye. Since our lives have changed in all recognition. Since I’ve put you and your baby brother in the same room to sleep. Since we’ve continued to live out of suitcases (that aren’t really suitcases but wardrobes at Grandma’s house). Since your toys are still on a “Big Ship”. Since we’ve taken you out of your beloved nursery in Dubai and enrolled you into play school here for interaction and for Mummy (and Grandma) to have a break. Since I have dragged you round to see people who want to meet you as a big nearly 4 year old and your brother as a 1 year old. To see old friends from Dubai. To see family. To go home every night and Skype Daddy instead of Daddy tucking you in. It’s a lot for a little boy to take in. It’s a lot to live through. I’m sorry little man, but at the same time I am so proud of you. For every time you shout. For every time you stamp your feet. For every time you cry and ask for Daddy over me. For every tantrum. For every tough moment. For every confused look you give me. For every nightmare that you have. There is the silver lining, the flip side. The you taking it in your stride. Watching you dance in the rain. Watching you feed ducks, play in the sunshine, revel in the fresh air lifestyle. Seeing you jump in muddy puddles then watching your dismay when they dirty your shiny boots. Seeing my hometown through new eyes. Seeing the UK through new eyes. There have been magical moments through the chaos. You are the magic. You and your brother. But so much more is expected of you as the eldest. So much more lands on your shoulders. But my oldest baby, even with all of this, the magic you provide is more than words can say. I shouldn’t lean on a 3 year old to help me when I miss your Daddy more than words can say, but you know, and you give me that extra special cuddle. Then you look at me, looking so much like your Daddy, I am always reminded of your Daddy’s words that it isn’t forever, that this is the right thing, the best thing for our family, it just makes me want to scoop you up and cuddle you tight. Which I do. When you let me. Thank you my biggest boy. Thank you for being you throughout all of this upheaval, thank you for understanding as much as you can and thank you for the cuddles, I’m sorry that everything seems so big, so vast, so unclear. I’m sorry that I shout. I’m sorry that you shout back. Little man, keep doing what you’re doing, I am so very proud of you. Life as we know it may have changed, but that doesn’t mean bad things. On the contrary my biggest boy, bigger and better things are waiting I promise, we are onto our next chapter. Our next big adventure. The next chapter. A beautiful letter from the heart. It must be such a huge event for a 3 year old who doesn’t understand, but children are so strong and versatile. My neice was 3 when she was moved from Oz (the country she was born in) to England. Living with grandparents until the ship arrived and then moving to a new house. She was fine and has now even made the move back to Oz 2 years later. I hope that you all cope as well as you can and the time passes quickly until your husband returns. When my eldest was coming up to three we moved with her and her baby sister from the UK to Islamabad. Three months later, and she had now turned three, we had to move back again with just a few weeks notice. We moved into temporary accommodation, my husband returned temporarily to Pakistan. Three months on we moved again back to our own house, then another seven months took them to live in yet another country. When I think about what that poor little girl went through, how many times we turned her world on its head. But here we are 7 years on and she is amazing . Bright, resilient, confident but not over confident. I think being aware of their feelings, trying to help them make sense of their new reality and just being there for them, putting them first, is all you can do. And it sounds like you are doing great! Oh babe! Beautiful. I can feel the pain you’re all feeling. Even if it’s for the best it still hurts. And it’s OK to acknowledge that. Sending big hugs to you all! Ah bless him, you’re so right, it’s amazing what children can adapt to. and we expect so much of them when they’re only tiny. I know I expect too much of my eldest since my husband’s accident but she copes admirably, just like your little boy. That is beautiful! This is something I was just thinking in my head last night as I yelled at my boys for arguing with each other over a toy. It really upsets them when I yell so I work very hard not to do it and I know it’s the end of the school for them – they have one more week – and the excitement is filling the air. My oldest is graduating from Middle School next week and they have gone through a lot of changes this past year so last night I had to reflect on that. A beautiful letter to your child! Oh Laura I’m covered n goosebumps and trying not to cry reading this. I can really feel that this is straight from the heart and I just wanted to give you a huge hug!! I think because our boys are so close in age I’ve connected even more with this post. Your big boy sounds like such a little star and that he’s doing so so well with these huge changes. It’s amazing how they seem to take so much in their stride and it’s only the tiniest of signs that they give that they are worried or sad about things. It’s a lot for a 3 year old to take in i am sure and he sounds like he’s doing just fine Laura. You prepared him well and you are clearly doing all the things he needs you to do. My little ones have had lots of change etc and my dad kept telling me “child adapt” and he was right, much better than us grown ups do. Oh bless him 🙁 It is SUCH a lot for a little one (and for you too, of course). I can’t imagine how they process and understand it at that age. It must be challenging. Aww Laura this is so touching. It’s so hard for young children to understand that sometimes things that seem bad are for the best. Kids do seem to adapt quickly though and I’m sure he’ll feel at home here very soon. It’s so much to take on. It really struck home when you mentioned watching the tension fall away at bedtime. You just don’t think that’s something a kid that age should be carrying. I hope as time passes for you all that it gets easier to bear. Poor little chap, it is hard. We have just had a similar experience, leaving Malaysia where our youngest was born and spending 4 months in the UK sofasurfing with family while waiting for our visas to come through to join my husband in Saudi. It was hard, it was emotionally draining and it was heartbreaking to see the baby miss her daddy so much. WE had no skype so she found it difficult to talk on the ‘phone the way the older two did. We are settled now and developing our new normal. I hope things settle down for your family soon. I love this post, one i can relate to in our own way, in the 2 1/2 years since our son was born we have moved from Sark (tiny island where he was born) to bristol, to reading, back to sark, back to bristol then the big move to Australia living with family, now just moved into our own rental place, and in 5 weeks a baby is due. How he has managed to cope with all the changes i dont know, there hard on us, but must be mind boggling for the little ones to understand.